Auto Glass is a full-service glass repair company offering the best glass repair and auto glass replacement services for most vehicles and models. We are so proud in providing this opportunity to our citizens that offer mobile service for auto glass repair and replacement all over beautiful Vancouver area. As customer safety and satisfaction is the first priority for All Star Auto Glass Company, we are coming to customer’s house, office and anywhere which they want us to repair their windshield while they are doing their own stuff. All Star Auto Glass offers several types of services for repair and replacement such as side view mirrors, rear view mirrors, door, back and vent glass, quarter glass, side windows and rear sliders repair and replacement for all types of auto glass. All Star Auto Glass mobile facilitation utilizes the highest quality and most desirable material to offer to the customers in fitting and installation of the new auto glass. All Star Auto Glass focus lies at the lowest rate with the highest quality and services for the customers. 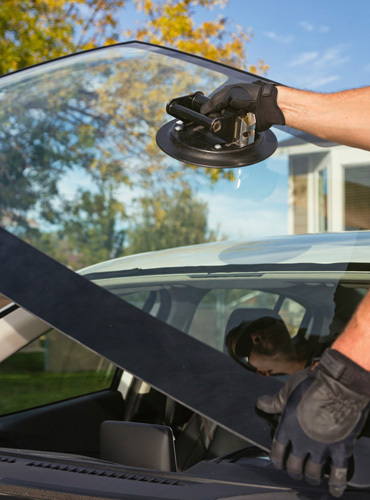 In case of having broken or damaged windshield or other issues which have happened for auto glass our professional experts offering high-quality services to our valuable customers. In this line All Star, auto glass services are available seven days a week for customer’s convenient and loyalty and repair or replace the windshield on the same day based on the customer’s request. All Star Auto Glass deal with all major insurance companies for windshield replacement and accept customer’s insurance claim and handle all sort of billing for customers.